The Dunhill Medical Trust have announced three new joint Fellowship schemes with the National Institute for Health Research, Alzheimer’s Research UK and British Geriatric Society. Individuals who have recently completed a PhD but haven’t yet established as an independent researcher. Individuals starting to establish themselves as independent researchers, or who are established but not yet recognised as an International leader in the field. Individuals transitions into applied health research from a basic science/non-health research background. Individuals looking to re-establish their research career following a significant break. A training fellowship and full fellowship are available to apply for. The training fellowship is designed to provide the means for clinically qualified candidates the opportunity to obtain the research track record and skills require to apply for a full clinical fellowship. The Clinical Research Fellowships are designed for clinically qualified researchers who have delivered previous research projects with evidence of impactful outputs and have clear plans to establish their own ‘niche’. Full details of the scheme can be found here. Designed to support front-line health professionals undertake relevant age-related diseases and frailty. Eligible candidates include; doctors, nurses and allied health professionals working with odler people. Applicants must be a member of the BGS. Categories: Funding Opportunities | Tags: aruk, bgs, dunhill, Fellowship, Funding, Health, NIHR | Permalink. The Royal Society Research Grant is now open for applications. This popular scheme is aimed at early career researchers (or those returning from a career break). Projects must fall in the Royal Society’s remit of natural sciences, which includes but is not limited to biological research, chemistry, engineering, mathematics and physics – see here for a full list. This provides ‘seed corn’ funding for a discrete piece of research with the budget to be used to purchase specialised equipment and consumables, and travel for essential fieldwork. Hold a PhD or equivalent qualification. Within the first 5 consecutive years of an independent research post, at the time of application. This can be your first permanent independent academic research post or a named limited-tenure/fixed-term post, obtained in open competition (note: tenure must cover the award duration). Fully independent researcher with access to your own lab space. For further information about this call please visit the Royal Society Website. If you would like to apply for this award please contact your Research Development Officer. Categories: Funding Opportunities | Tags: Funding, Funding opportunities, Science | Permalink. The Leverhulme Trust Research Leadership Award (RLA) is currently open for applications. Each institution is limited to one bid only. As a result, an internal process has been put in place to nominate the Man Met proposal for submission. The Research Leadership Award is aimed at exceptionally talented Man Met academics who are on an academic career trajectory to be the future research leaders and need to build a team to address a distinct research problem. The awards will be for up to £1 million, for staff salaries and associated costs. As part of the first stage of the internal process, the applicants are requested to email an Expression of Interest (EOI) (using the template) and a CV (max. 2 pages) to researchapplications@mmu.ac.uk on or before Friday 29th March 12pm. Please contact the Research Development Managers for your respective area if you have any questions about the call or the process. Categories: Funding Opportunities | Tags: Funding, Funding opportunities, internal process, Leverhulme | Permalink. The Myotubular Trust is a registered charity that was set up to find a cure and treatments for any genetic form of centronuclear and myotubular myopathy. The trust has launched a call for projects that will help to find a cure or treatment of any form of centronuclear and myotubular myopathy. They will be focusing on research that would generally not be funded by public or industrial funding sources. Applications are particularly encouraged investigating new technologies to research into centronuclear and myotubular myopathy; interventional trials; and those which may involve collaboration between different medical disciplines and/or different research institutions. For further information please visit the Myotubular Trust Website. If you would like to apply for this scheme please contact your research development team. Categories: Funding Opportunities | Tags: Funding, Funding opportunities, Health, healthcare, Medical research, Medicine | Permalink. The Health RAG is here! The Health Research Accelerator Grant is now open for applications! 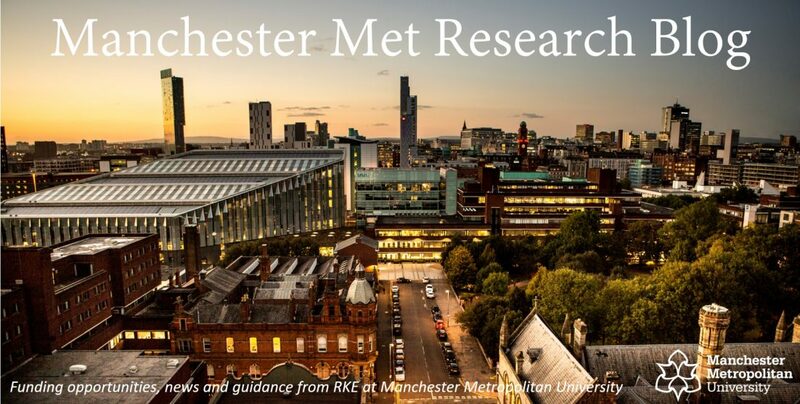 The Health Research Accelerator Grant is a joint initiative between Manchester Metropolitan University and the University of Manchester. The scheme is targeted at academics across the Health Research Centres (Manchester Met) and the Faculty of Biology, Medicine and Health (UoM) to forge a collaborative partnership. These awards provide pump-priming funds to allow collaborating researchers from the two institutions to obtain preliminary data that will ultimately feed into an application for external funding. Research teams must consist of an academic from each institution from within the health research centres or faculty – please read the guidance for full eligibility criteria. Categories: Funding Opportunities | Tags: Bioscience, Funding, Health, healthcare, Healthcare Science, hrag, internal funding, musculoskeletal | Permalink. The Nuffield Foundation is launching calls from research into musculoskeletal conditions with a dedicated fund of £12.5m over the next 10 years, with £6.25m to be awarded in the first 5 years. Research to exploit existing national-level longitudinal and administrative data on the bio/social/economic determinants and outcomes of musculoskeletal conditions through secondary analysis of existing data. Research to integrate and exploit local health, social care and other data sources in the UK at a local-level through funding one or more local data integration pilot sites. It is anticipated that this will be funded in partnership with Versus Arthritis. Interdisciplinary research into musculoskeletal conditions that will generate new knowledge on health and social wellbeing for those living with musculoskeletal conditions. Award Amount: Funding is available for projects between £10,000 – £500,000 with most projects expected to be in the £50,000 – £300,000 range. Deadline: Intent to submit forms need to be submitted by 10th January 2019 with the outline proposal submitted by 28th January 2019. For more information on the scheme please visit the Nuffield Foundation Website. If you’d like to apply then please get in touch with your Research Development Team. Categories: Funding Opportunities | Tags: Arthritis, Funding, Funding opportunities, Health, healthcare, musculoskeletal, Nuffield | Permalink. National Institute for Health Research have just released new calls for funding opportunities around the theme: ‘Tabaco Cessation, Control and Harm Reduction Interventions’. If your research covers this thematic area and you would be interested in applying the NIHR will be holding a webinar to support the funding opportunities on Thursday 8th November 15:00-16:00. You will need to register for this and can do so here. For more information about any of these calls please use the links above to visit the schemes or check the NIHR website. The calls are currently open for first-stage applications and will close on 12th March 2019, 1pm. If you would like to apply to any of these schemes then please get in touch with your Research Development Team as soon as possible! Categories: Funding Opportunities | Tags: Funding, Funding opportunities, Health, health technology, healthcare, NIHR, research funding | Permalink.